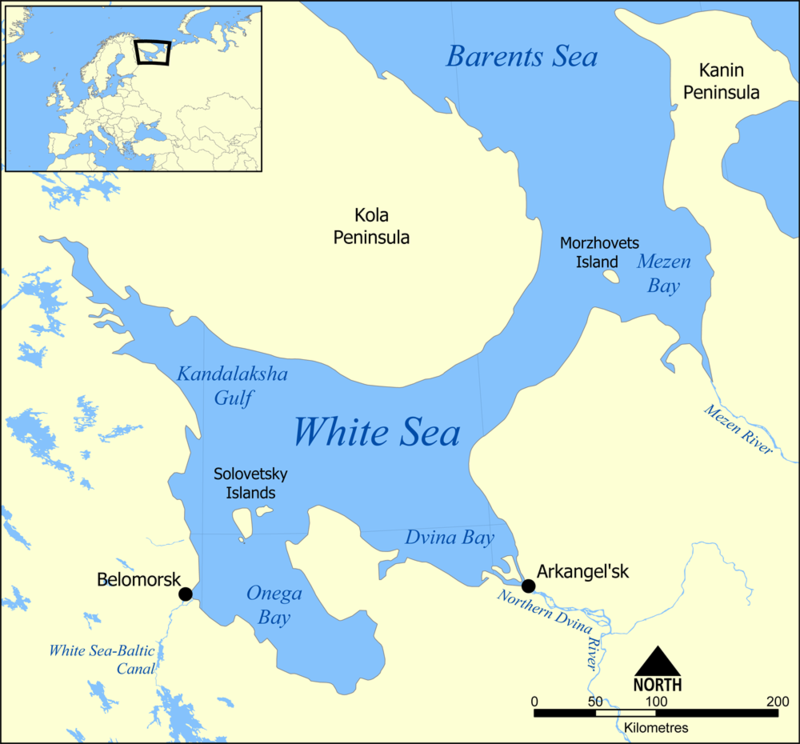 The Solovetsky Islands (or Solovki), are an archipelago in the Onega Bay of the White Sea, in Arkhangelsk Oblast, Russia. 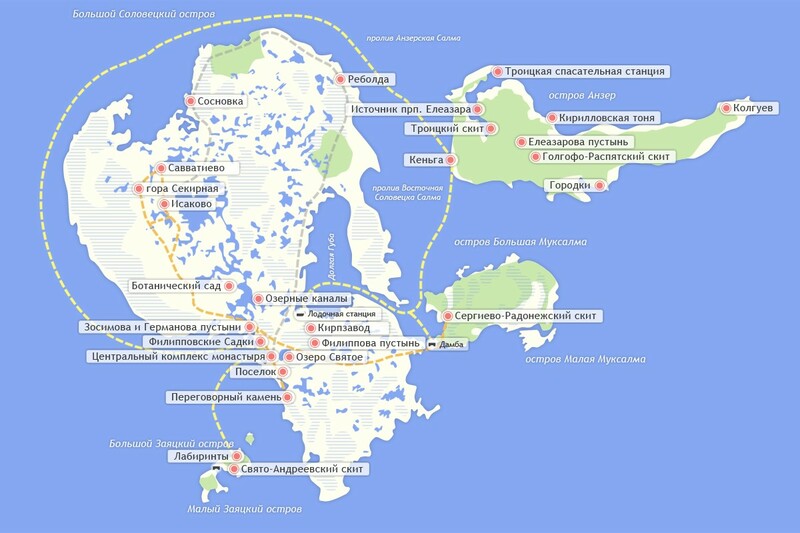 Bolshoi Zayatsky island is part of archipelago, which has, thirty-five Neolithic labyrinths, known as ‘Babylons’. Who has built them and why? 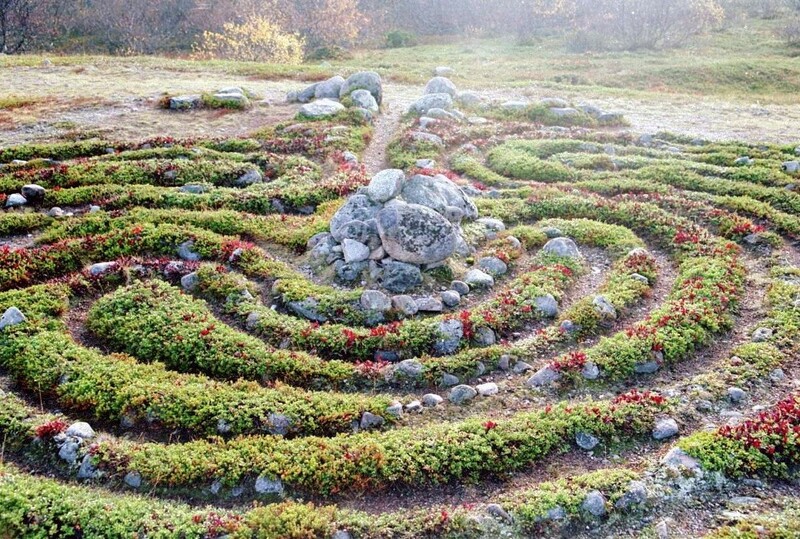 Labyrinths are Saivo, sacred mountains, where the souls of deceased roam while enjoying their being. 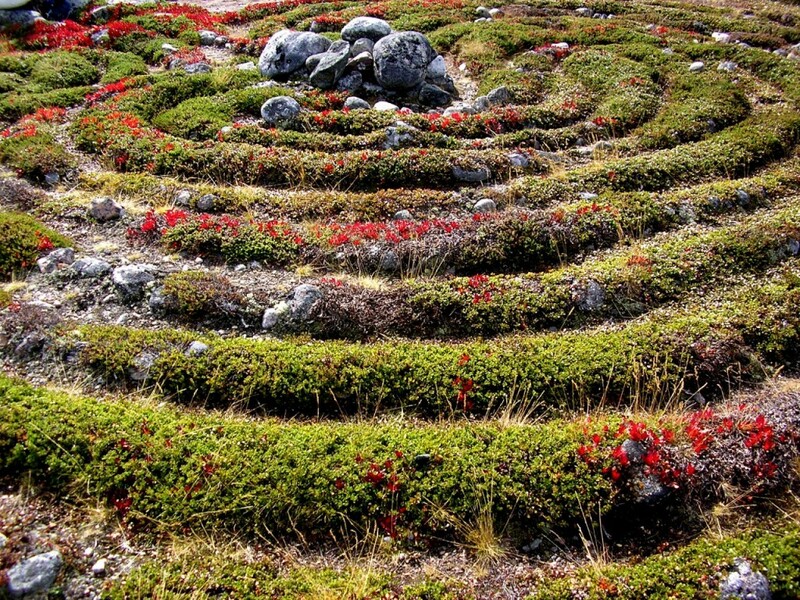 Labyrinths look like a mountain range. 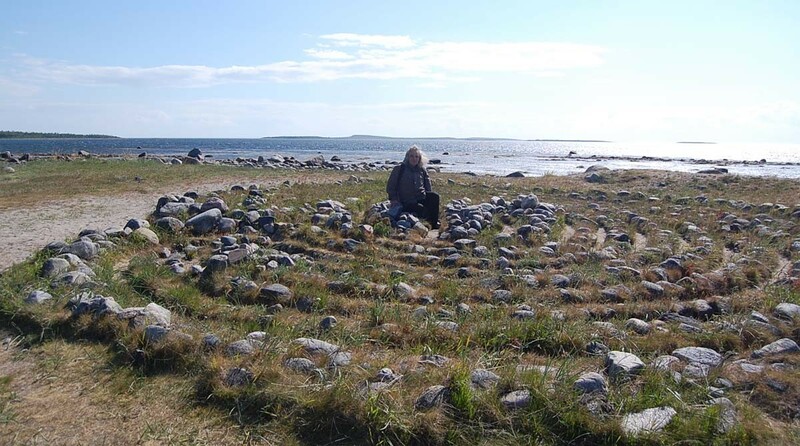 Exact purpose of these ancient stone constructions is unknown. The main assumption is that they, perhaps, symbolized a border between the world we live in and the world of spirits. 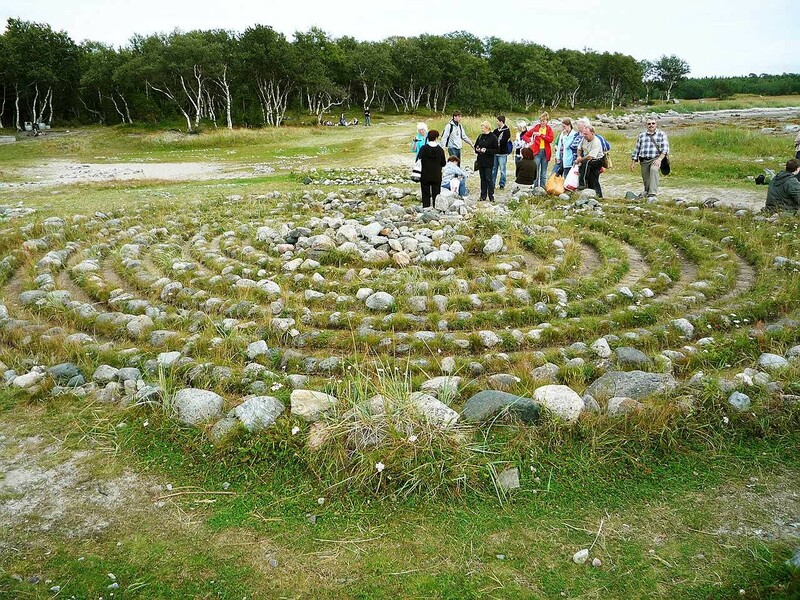 Labyrinths were used for rituals to help souls to cross over to the other world. 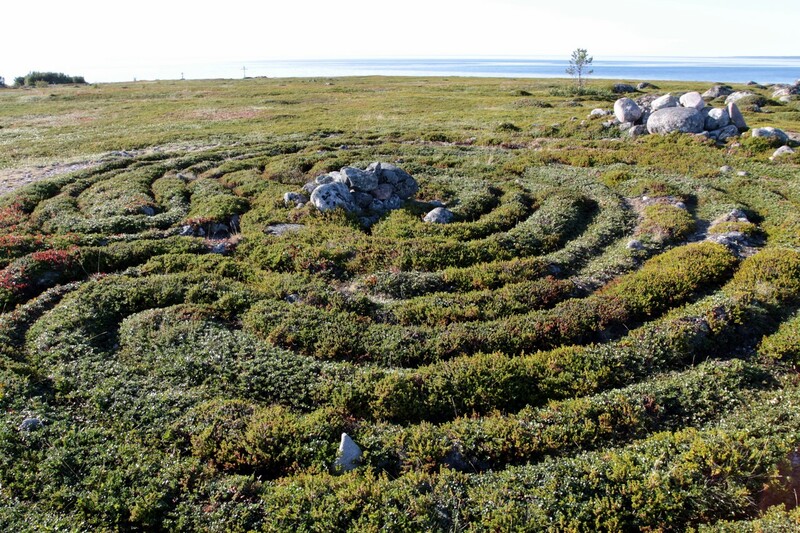 Other hypothesis is that labyrinths, perhaps, served as fishing traps. 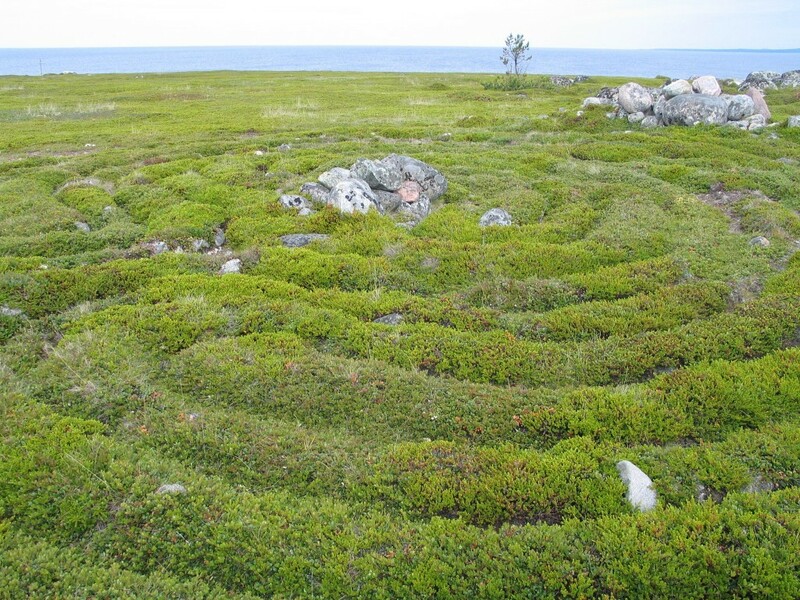 However, the major flaw in this argument is that many labyrinths have been found inland throughout the world. 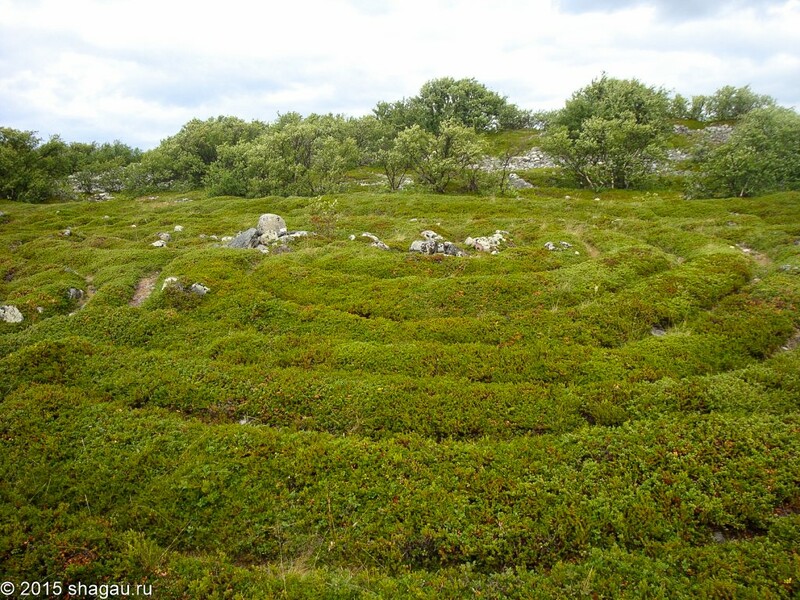 Vlad Abramov, a researcher who explored the labyrinths of Bolshoi Zayatsky, described the surreal experience of walking the twisting and turning paths of the labyrinth. 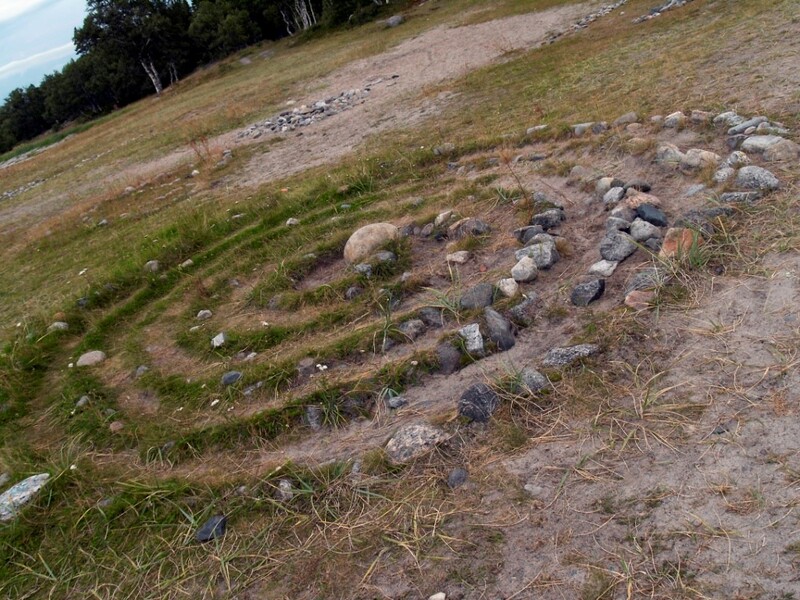 After entering a labyrinth and circle several times around the center, you leave it through the same entrance. Just after several turns it becomes unclear how much you have walked and how much more to walk. 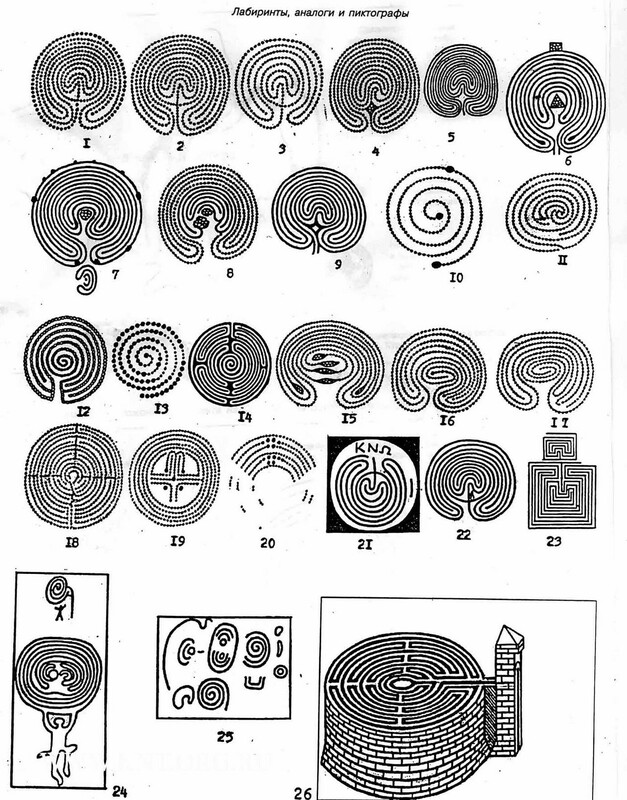 Subjectively, the time stops, but by watch the great labyrinth is passed in 15 minutes. It is difficult to be distracted; the path is narrow and you are required to look permanently underfoot. 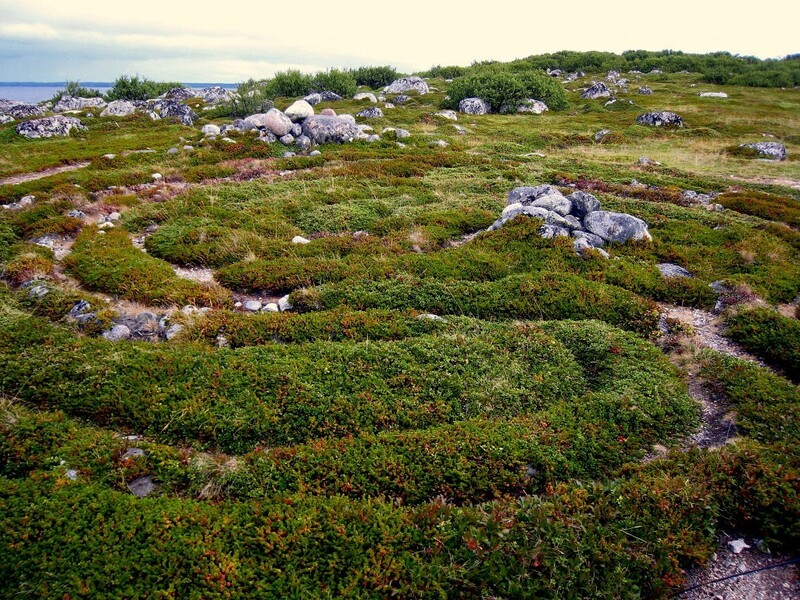 The path is twisting clockwise and counterclockwise. At last – the exit; and you are happy that the journey is over. 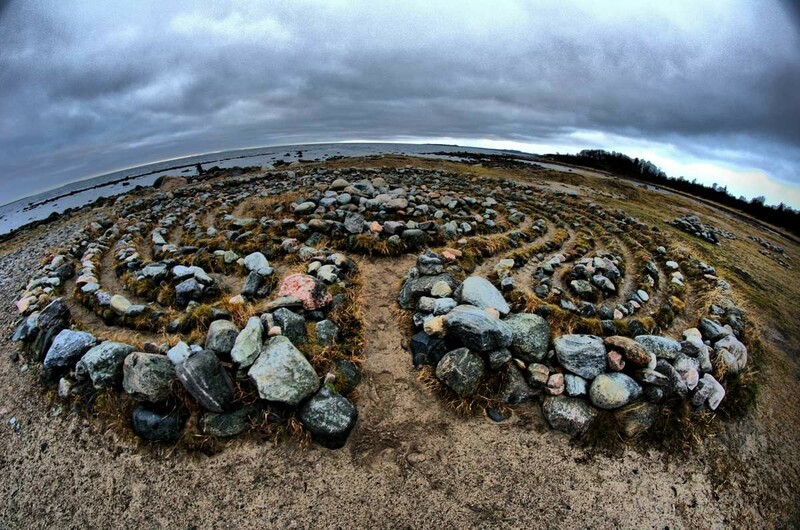 Similarly, many of the stone labyrinths around the Baltic coast of Sweden were built by fishermen during rough weather and were believed to entrap evil spirits, the “smågubbar” or “little people” who brought bad luck. 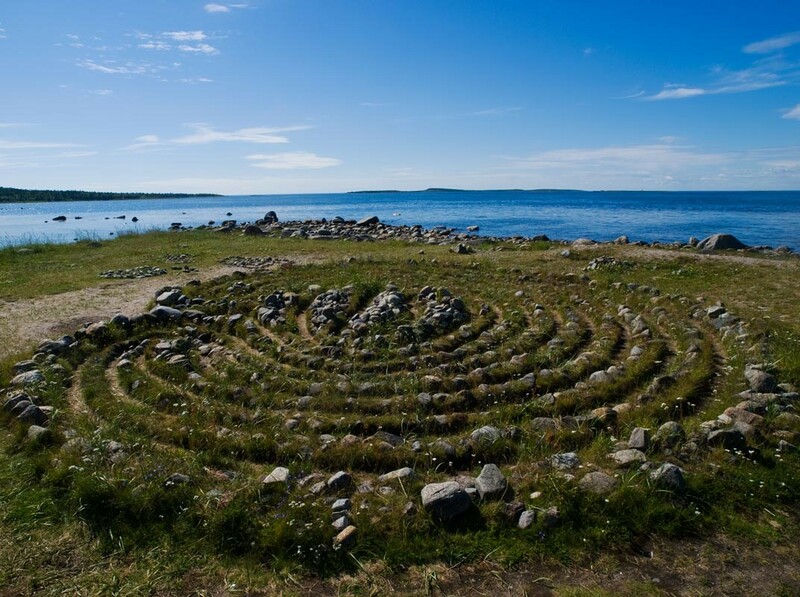 The fishermen would walk to the center of the labyrinth, enticing the spirits to follow them, and then run out and put to sea. 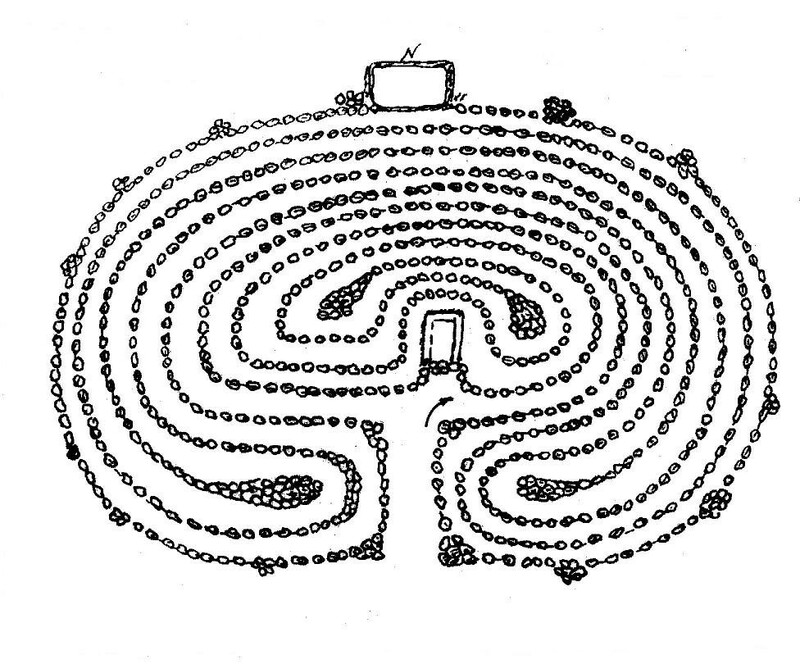 It is possible to assume that both the psychological and the physical state of ancient people, was the main purpose for conducting rituals in the labyrinths. These ritualistic forms of preparations were necessary for increasing the level of physical activity and concentration. 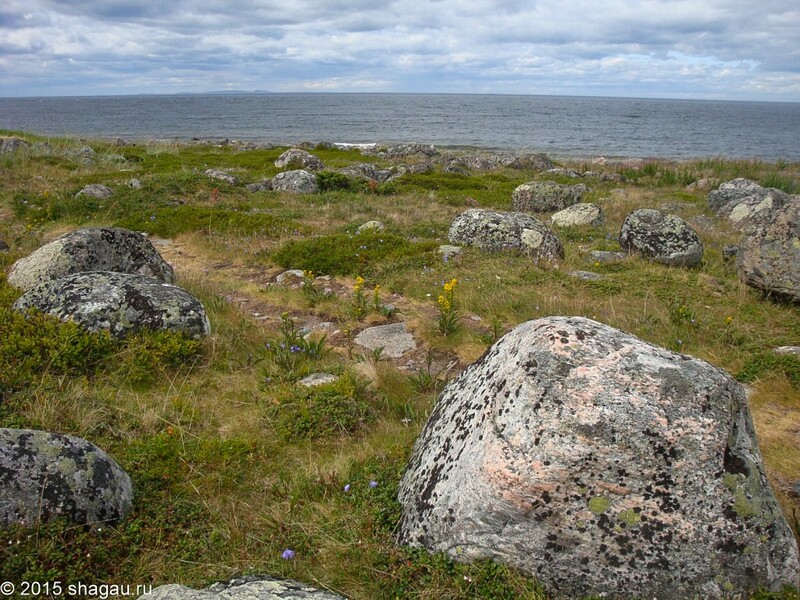 These qualities were necessary for hunting sea animals, fishing, and long sea trips in the cold and dangerous White Sea. It is also worth noting that musical accompaniment, ritual dances, and often psychotropic action, were obligatory elements of many rituals. These elements repeatedly strengthened the attained effect. 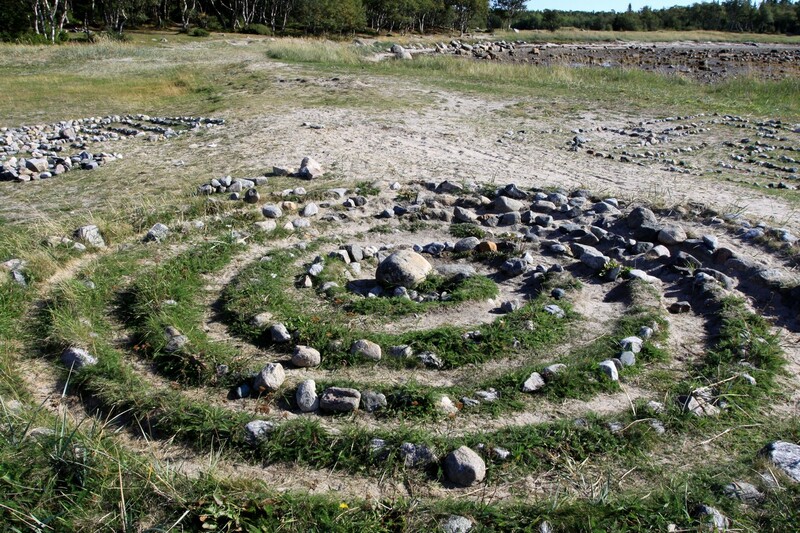 Labyrinths were also used by Shamans to increase their own activity. This means that the Shamans were entering into the different states of consciousness. 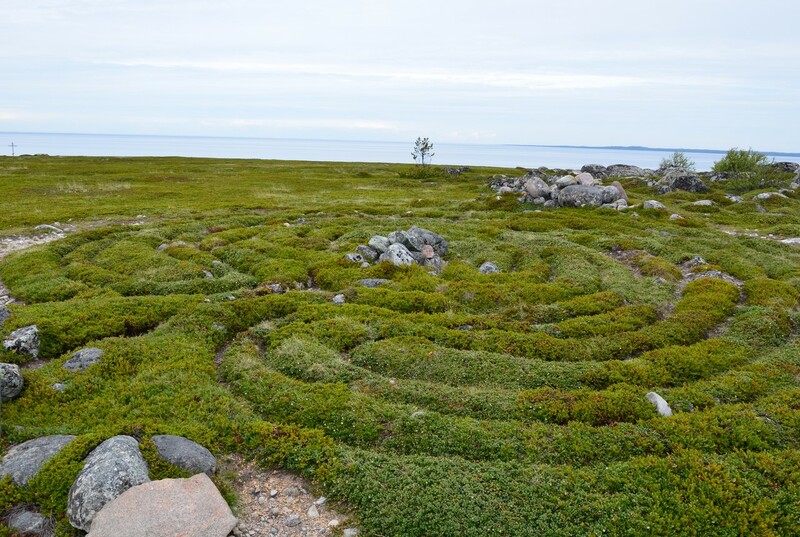 To this day, the far northern islands of Russia continue to attract curious travelers and scientists, eager to solve the mystery and the true meaning of the stone labyrinths. If you look at the Nazca lines, the pyramids at Giza and Bosnia and many others around the world, it is tempting to think that there must have been a purpose that involved a serious attempt to protect/encourage healthy life.